Many of the major golf tournaments in the world have been hosted at the Ocean Course, and all major golf publications rank the Ocean Course among the best. Designed by golf legend Pete Dye and featuring 18 oceanfront holes, the course is almost never played the same way twice as the wind varies in both strength and direction. In fact, Dye accounted for this and essentially designed two courses in one, one for westerly winds and the other for easterly. Thanks to this design, it’s no surprise the Ocean Course is so well-loved; however, that love is hard won. Kiawah Island draws crowds, and among them are some of the world’s best course designers. Turtle Point is a Jack Nicklaus project that focuses primarily on the mental game. The Golden Bear himself said the course’s goal is, “to make the player use his mind ahead of his muscles.” This course is great for seasoned players and includes narrow fairways and strategically placed water hazards. Osprey Point takes the player inland, at least, as inland as one can be on Kiawah Island, snaking through forest and saltwater marshes. Tom Fazio originally designed this course as private, members only course, but after its acquisition by Kiawah Island Golf Resort, this casual, player friendly course is open to the public. Next time you play Osprey Point, be sure to stop by the clubhouse after for a 19th hole libation. Oak Point is a classic course, calling for precision rather than strength, as the right shot is often better than the longest. Oak Point runs along the Kiawah River and Haulover creek, creating undulating fairways and challenging greens. Renovated in 2015, the course received 4.5 stars from the readers of Golf Digest magazine in their “Best Places to Play” poll. 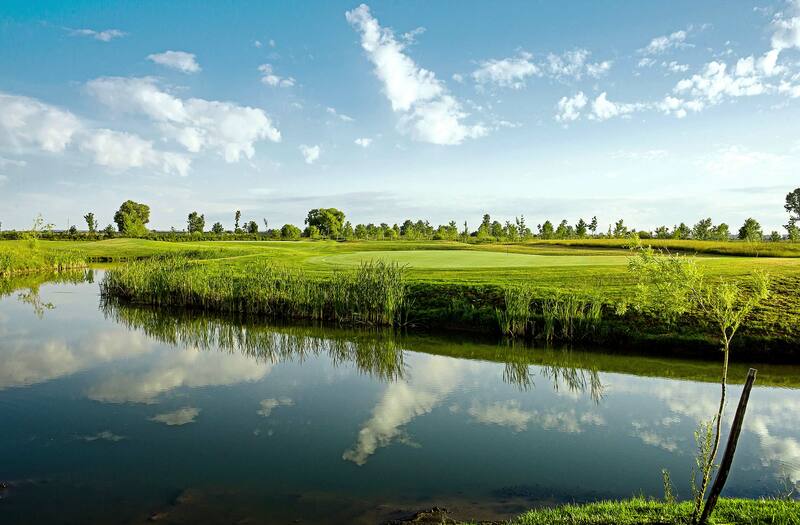 Cougar Point features dramatic vistas and wide open fairways, making the course more playable for your average golfer. Experienced players will enjoy the course as well, because while the course is forgiving, there is definitely a correct spot to land your drive, as unseen hazards around the long par 4s can be avoided by strategic placement. Hole 17 is said to be one of the prettiest and most challenging holes on the island. Inspired by traditional Irish and Scottish courses, Cassique features a classic links style design. Cassique has hosted several championship tournaments and, as with the Ocean Course, is subject to shifting winds. Cassique is also the first course designed by Tom Watson, the five time winner of the British Open. The River Course, as the name suggests, winds along the Kiawah River and Bass Pond for eight holes, with the remaining holes along marshes and ponds. Golfweek has ranked this course among the best residential courses in America. The course spans 7,000 feet and makes for a challenging and long game. Nature lovers will also appreciate the site’s certification as an Audubon Cooperative Sanctuary. Timbers Kiawah Owners receive exclusive access to the best golf on Kiawah. Imagine a home that takes care of you and not the other way around? Ownership at Timbers Kiawah means not having to lift a finger to receive exclusive access to the best activities on the island, including its seven world-class golf courses. Each new oceanfront residence comes standard with personalized concierge, so your tee times and dinner reservations are booked before you even arrive. Contact us to discover what ownership means at Kiawah’s only private residence club and to enjoy the perks and privileges as only an Owner can.